It’s Alessandro Michele’s third season at the helm of iconic Italian fashion house Gucci, and this afternoon his AW16 show opened Milan Fashion Week on a high. The new Mr Gucci has got sales up 5%, has got the fash pack in raptures, and has got A-listers around the world begging to wear his wares, so the challenge was on for Michele to keep up the momentum. She’s back and looking as kooky-cool as ever for AW16. 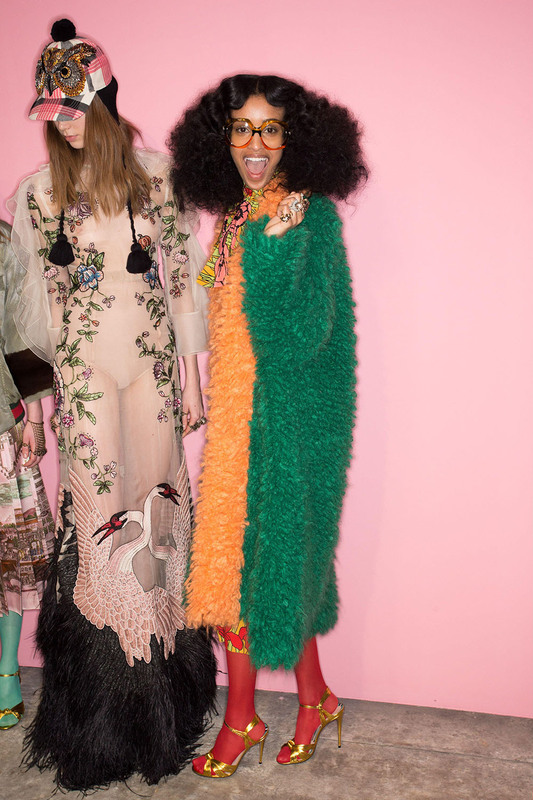 As many ask which way Alessandro Michele is going to quick-change next, the designer seems to be holding his own, letting the hit look that he has invented settle into our fashion consciousness rather than being some one-season-wonder idea that we’ll never see again. Miss Gucci has, however, moved on slightly for the new season, working some street-wise new motifs (more of that below) and declaring snakeskin to be her texture of the season. See all of our favourite on-catwalk looks in the gallery above.